Marco Rubio enters Saturday night’s Republican presidential debate facing immense pressure to right his campaign after faltering badly in the last contest and finishing a disappointing fifth in New Hampshire. Rubio’s stumble re-energized some of his rivals as the race heads to the South and reignited questions about whether the 44-year-old first-term senator has the experience to be president. While he’s sought to shed some of his reliance on well-rehearsed talking points in recent days, the debate will be a prime test of whether he can rebound. Just six contenders will face off Saturday in Greenville, South Carolina, far from the long line of candidates who took the stage in earlier GOP debates. 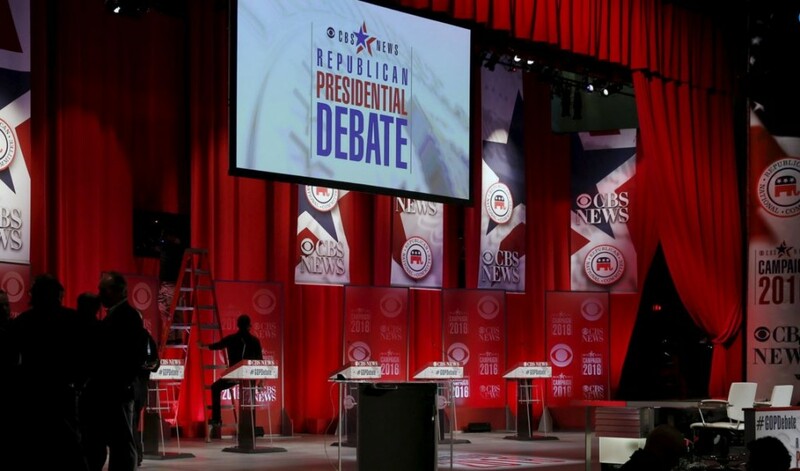 But even with a streamlined field, the Republican race remains deeply uncertain. Texas Senator Ted Cruz and celebrity billionaire Donald Trump each have a state in their win column after respective victories in Iowa and New Hampshire, and both appear to be in a strong position heading into South Carolina’s Feb. 20 Republican primary. They’ve been sparring from afar for weeks but have so far kept their acrimony off the debate stage. Whether that pattern will continue in Saturday’s contest is unknown. Cruz released a media advertisement before the debate accusing the real estate mogul of a “pattern of sleaze,” spurring Trump to fire back on social media with another round of questions about his Canadian-born rival’s eligibility to be president. If Cruz “doesn’t clean up his act, stop cheating and doing negative ads, I have standing to sue him for not being a natural-born citizen,” Trump wrote. While Trump will be standing at center stage, signifying his lead in national preference polls, Rubio will be the center of attention. Florida’s junior senator entered the last debate facing criticism from rivals who said that while he delivers a good speech and sharp answers in debates, he lacked depth. He played into that characterization when he repeated the same practiced line multiple times under pressure from New Jersey Governor Chris Christie. Rubio’s poor performance has created a potential opening for former Florida Governor Jeb Bush and Ohio Governor John Kasich. Bush in particular will need a solid showing in South Carolina, given his prominent political family’s ties to the state, while Kasich is just hoping to remain viable until the race heads to friendly territory for the Midwestern governor. Katon Dawson, the former chairman of the South Carolina GOP, said he expects the debate to have more of an impact on his state’s voters than the results in either Iowa or New Hampshire. Also on stage Saturday will be Ben Carson, the retired neurosurgeon who has struggled to stay relevant in the debates as his standing in the race sharply slipped. Carson pledged that he wouldn’t allow himself to be ignored. “I’m going to be much more boisterous,” he said on Fox. Poor showings in Iowa and New Hampshire led some frequent debate participants, including Christie and Kentucky Senator Rand Paul, to end their campaigns. Nearly all lower polling candidates who have populated undercard debates have also ended their White House bids. Will Cruz Tackle Trump at Las Vegas Debate?